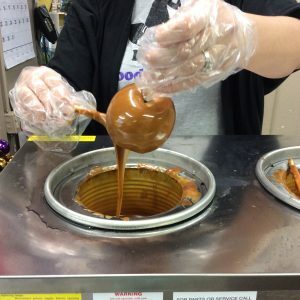 Easy Tips for Caramel Apples - Hayes Specialties Corp.
A caramel apple bar is a fun and unique theme for any fall party. 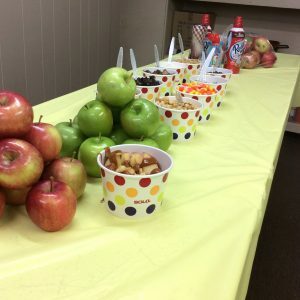 For kids and adults alike it allows them to personalize an apple that they can then take home as a party favor or eat right away. Keeping these simple things in mind will make sure that it is a delicious treat and not a horrible trick. Choose your apples to compliment your caramel; most prefer a tart apple. Slice and core your apples in advance to save the hassle once your guests have arrived. Store the apples in a mixture of lemon juice and water to keep them from browning. Find a dish that you can serve your apples in that also doubles as a container to take them home in for those who wish to do so. Disposables bowls come in a variety of designs and colors to fit your color scheme. 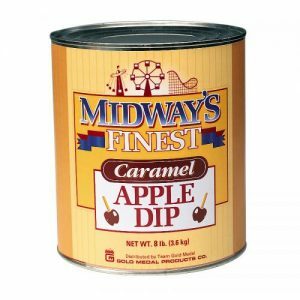 A ready to serve caramel works best for a caramel apple bar as it is smooth and pourable without having to take the time to heat. Choose toppings that you and your guests would be interested in. 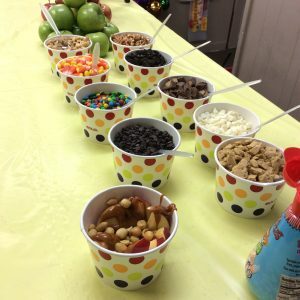 Whipped cream, chopped nuts, crushed cookies, sprinkles, crushed candies, etc., the options are endless. Another great option is to dip caramel apples in advance for guests to take as they leave. 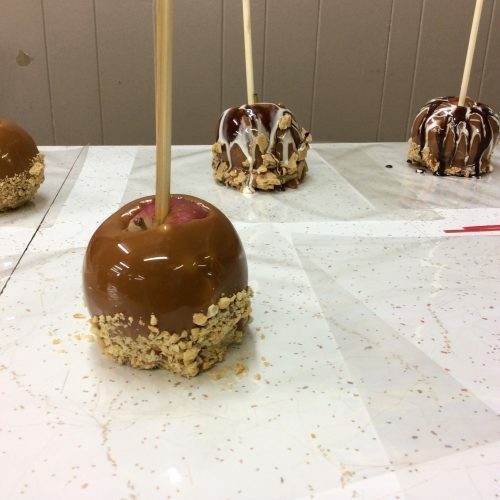 Many of the same tips apply to making regular caramel apples as well. Choose your apples so that they go well with your caramel; a tart crisp apples such as the granny smith are the most popular for this. Or choose the same type of apples you would use to make an apple pie. 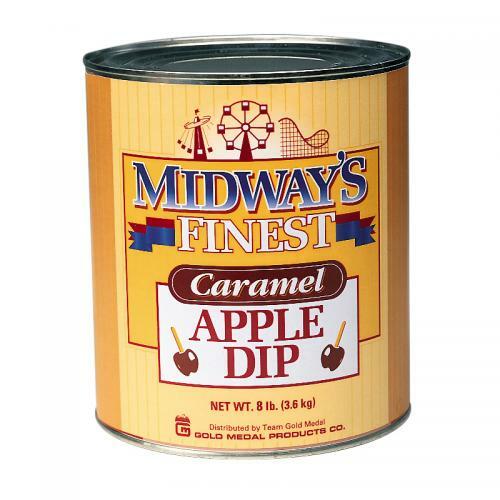 Make sure that you have a good dipping caramel such as Gold Medal brand Midway’s Finest, the preferred caramel of many Midwest orchards. Some caramels work best for dipping apples and others work better for pouring on cut apples so always double check. Also make sure you have enough sticks and wrappers for your caramel apples. To prep you should heat your caramel, this can be done in your crockpot with water around the can or in a warmer for caramel. While your caramel is warming you should let your apples come to room temperature and insert the sticks. 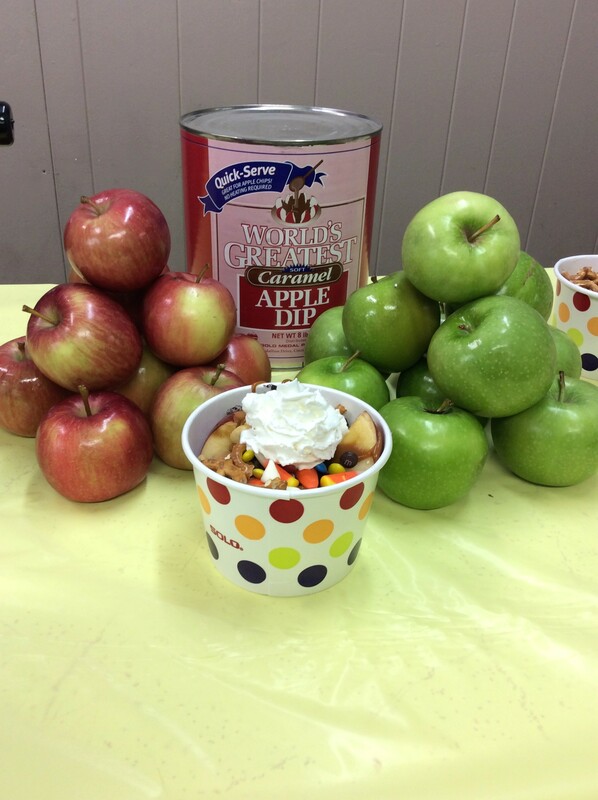 Make sure you are placing the apple on a counter or table when inserting the sticks and not holding the apple. 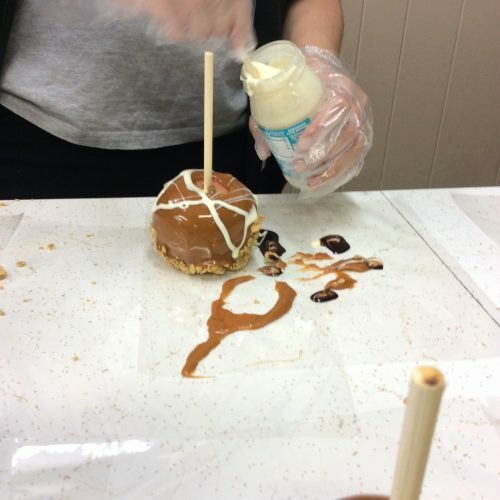 Place your apple into the caramel until it is covered and put out of the caramel while twisting. This will allow the extra caramel to come off the apple while keeping an even coverage over the rest. 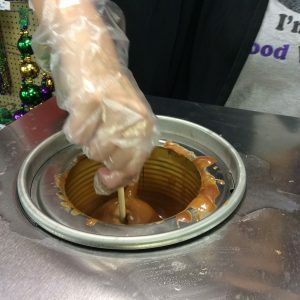 Using an extra stick to wipe the extra caramel from the bottom also helps. Dip your caramel apples in your toppings of choice while the caramel is still warm so that it sticks. 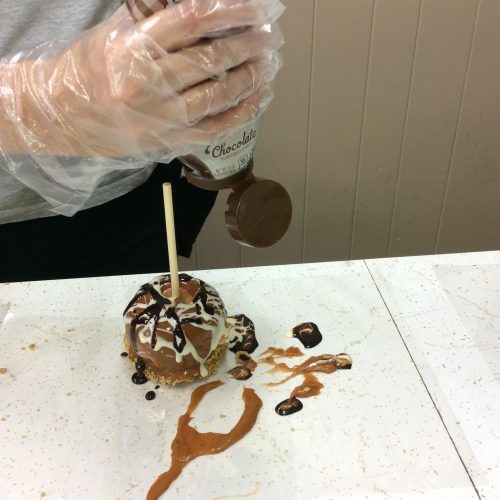 Place completed caramel apples on cellophane wrappers to cool or a cookie sheet sprayed with cooking spray. Once cooled wrap and enjoy.